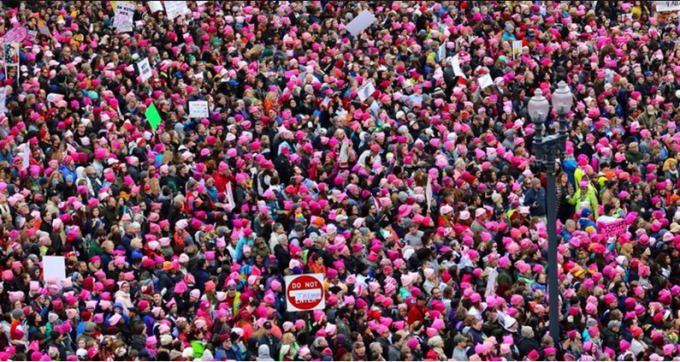 Understanding, celebrating and participating in #TheResistance is more important than ever as 2018 midterms loom and, once again, we see older white males declaring themselves progressives, yet willing to negotiate on a woman’s right to choose. Victoria Brownworth, politics editor @TheRealCurve, expresses the journey and significance of #TheResistance and those who created it better than I ever could. Please read her twitter thread below in its entirety. It is well worth your time. 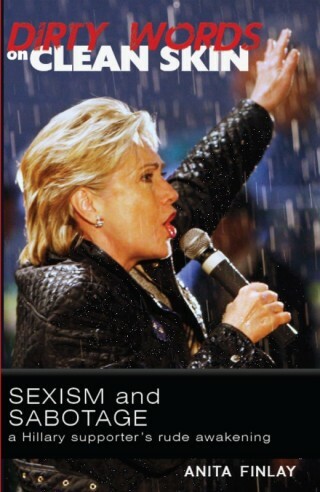 Her words provide enlightening context that often gets buried by a majority male corporate media pundit class. For example, look at how many articles The New York Times (of all places) posts about “understanding” the Trump voter, while Hillary voters (the majority), including so many women and men of color and LGBTQ get ignored – again. #TheResistance is not a white male movement. I’ve said this before & likely will need to reiterate it often over the next four years. Two threads this morning by 2 men I respect @armandodkos & @AlGiordano point to this fact, if more obliquely than I shall. But read them. As a middle-aged, 30yrs in the trenches of activism & journalism WOMAN, I embrace those men who get it because my goodness they are few. This is no surprise just as it’s no surprise a handful of white men are trying to take credit for activist work women have been doing. When the Women’s March idea was envisioned by a middle-aged Hillary supporter in Hawaii November 9, Sanders was cozying up to Trump. Sanders & Moore have their place, but their fixation on men like themselves is an impediment, not a net+. Women & POC ARE this movement. For six months I have watched the relentless hand-wringing over losing white male voters like it was a hate crime.WHITE MEN CHOSE TRUMP. In 2008 & 2012 WHITE MEN CHOSE MCCAIN & ROMNEY. It is NOT some new trend. White men like other white men. It’s how supremacy works. The impact of Trump’s election hit women & LGBT the very first day. The EO’s Trump signed first were about curtailing our rights. The singular reason all women & MOC had to veer away from these white men is because they have historically ignored us except to use us. I have read a freaking BAZILLION pieces about white male working class economic anxiety like WOMEN aren’t the oppressed economic class. This isn’t a hit-piece on Sanders–he’s not a bad guy &he cares about specific issues. But he has elided women & POC from his movement. #TheResistance centers women, POC, LGBT, immigrants. We are not your afterthought or footnote or virtue signals. WE ARE REAL PEOPLE. In a dozen townhalls w/Chris Hayes or Tom Perez, there’s been not one word about the crushing impact of Hillary’s loss on women & POC. We’ve been told how dare @HillaryClinton try & move women & MOC to the front of US’s class bus when that’s STILL reserved for white men. But when you all claim our rights to bodily integrity & our needs for economic justice are #identitypolitics, you are no diff from GOP. 279 YEARS we waited. She always had 50% women, 40% POC in her staff. THAT would have been our Cabinet, our EO’s, our VOICES BEING HEARD. WE keep being told to reach out to this minority of white male voters who hate us. REACH OUT TO US. SPEAK TO US. We are the resistors. Trump wants a country that looks like him. White. Male. Women to the back. POC out of sight. WE #resist THAT. WE demand visibility. We welcome you. #TheResistance is a big tent. But we will not be elided from a movement we started & for which we do the hard work. Our objective is to crush this fascist in the WH. But it is also to ascend to a place where WE are equal & valued in a society WE built. The work goes beyond Trump. Hillary’s platform was about equalizing what had long been unequal. We need to continue that work. Please. *Thanks also for your express permission to post your thread here.